Thailand is already one of the most internationally recognized laid back countries in the world. Then you visit Krabi, a coastal province in Thailand, and you realize that life can always get more chill. Krabi boasts stark limestone mountains to gawk up at, glittering white sand beaches to lie on, cheap and easy food and transportation, and islands. Dozens and dozens of islands rest off the coast of Krabi. You could spend an entire year simply Krabi island hopping exploring the wide variety of beauty and complexity among these islands. But, you probably don’t have a whole year, so let me break down the best Krabi island tours you can take with what time you do have. Tours are literally the only way you’ll get to see the islands around Krabi. Unless you’ve brought your boat over, that is? 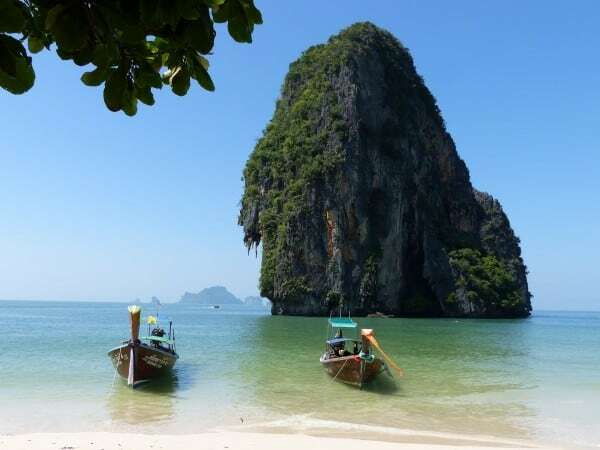 Below are well-recommended tours to the nearby islands in the Krabi province. If you want to book things ahead of time, worry less while you’re here, and have everything set and sorted, these are the tours to book. However, if you’re a bit more adventurous, there is one other option I have to tell you about. You COULD walk up to a longtail boat, hope the boatman speaks OK English, and ask for a private tour of islands. Using this method may be a bit more expensive if you’re only a couple but if you have a group of friends it would probably only be a few bucks more each. You’d need to bring your own lunch and you’d need to make sure your communication was clear from the beginning as to which islands you want to visit. It’s not necessarily the easiest option, and if you’re on a time crunch I wouldn’t recommend it (you may have to wait until the next day after speaking with him) but it’s an option I had to share nonetheless! This is easily the most popular Krabi island tour you will take while in the province. You get to ride in a speedboat or a long tail boat to visit two iconic islands, Koh Gai (Chicken Island) and Koh Poda, and two lesser-known islands, Koh Mor and Koh Tub, before lunch. Chicken Island has what closely resembles a giant chicken head rising from one coast. Here, you can enjoy the white sand beaches, grab a snack at a small restaurant, and you may be able to “walk on water” to Koh Tub. When the tide is low, the ocean recedes, and a land bridge appears that connects Chicken Island to Koh Tub. So the first part of your day will be spent snorkeling in clear water and possibly walking across that exposed land bridge. Otherwise, you can arrive safely in any boat. Which came first the island or the egg? Then after a lovely lunch provided for you, you’ll explore the Phra Nang Cave Beach in the afternoon. Krabi snorkeling and cave exploring all in one day. A day underwater! This tour takes you first to Rok Noi island to snorkel underwater or swim off the white sand beaches. Then you get to gorge yourself on a Thai buffet that comes with the tour, on the beach no less. Finally, you’ll head over to Coral Islands to swim through coral reef and check out the sea life in the reef. You can pick and choose whether you snorkel or swim, and you can revel in the last of the untouched beaches off the coast of Krabi. Krabi snorkeling and Krabi island hopping combine for adventure and peace at the same time. Take a speedboat just twenty minutes from Ao Nang to spend the day in the most beautiful tropical middle of nowhere island you can imagine. 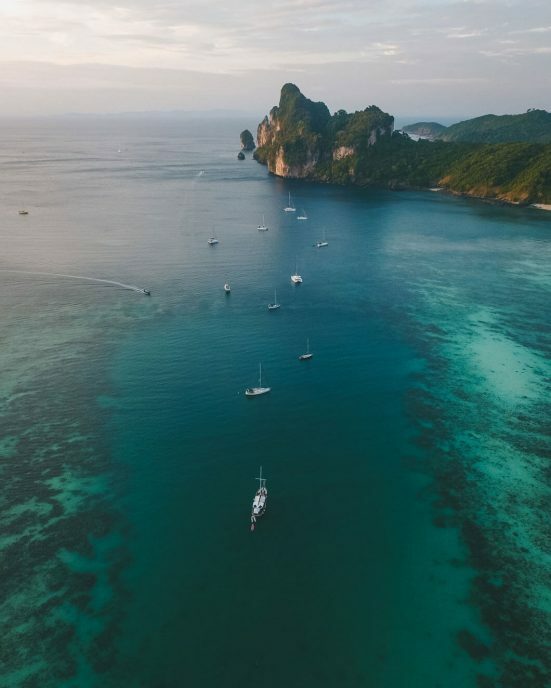 Koh Hong is actually a series of four connected islands, and you get to head right to the middle of it all to swim in relative seclusion. A turquoise blue lagoon sits serenely amid cliffs and shores just waiting for you to splash and bask in the sun. You can get some Krabi snorkeling in while you’re at it if you like. This is the most chill of the Krabi Island Tours you’ll find. 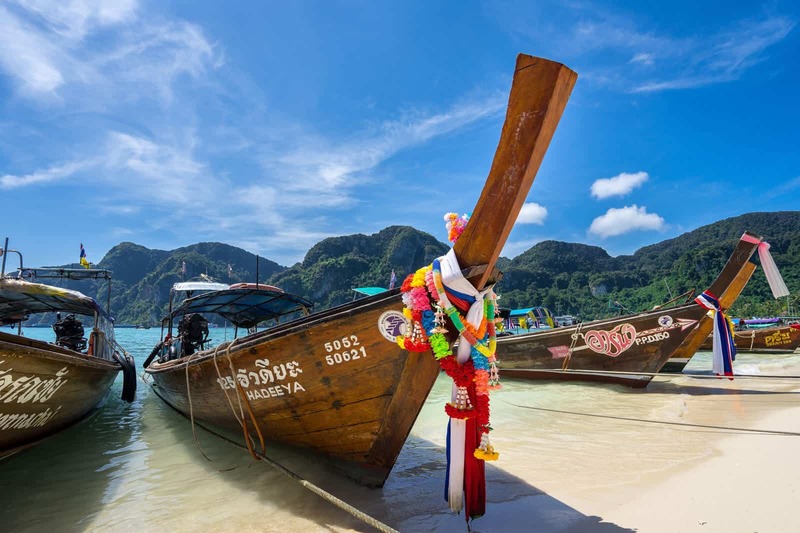 The Phi Phi Islands may be the most famous stop for Krabi Island tours. 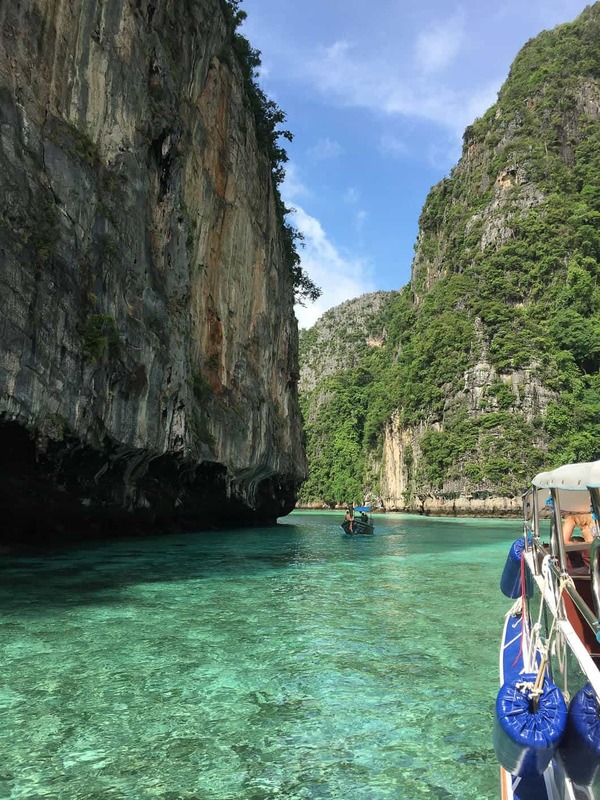 You’ll visit Maya Beach, which is where Leonardo DiCaprio brooded and adventured in the movie “The Beach.” So if you’ve got a thing for Leo, as most of us do, you have to put Phi Phi on your Krabi island hopping itinerary. And even if you don’t, you’ll still get to spend a day in a few different gorgeous bays, swimming and snorkeling to your heart’s content. Speaking of movie sets, ever heard of James Bond? Yes. That James Bond. This Krabi Island tour will take you on a long tail boat to the island where a James Bond film, “The Man with the Golden Gun,” was filmed. 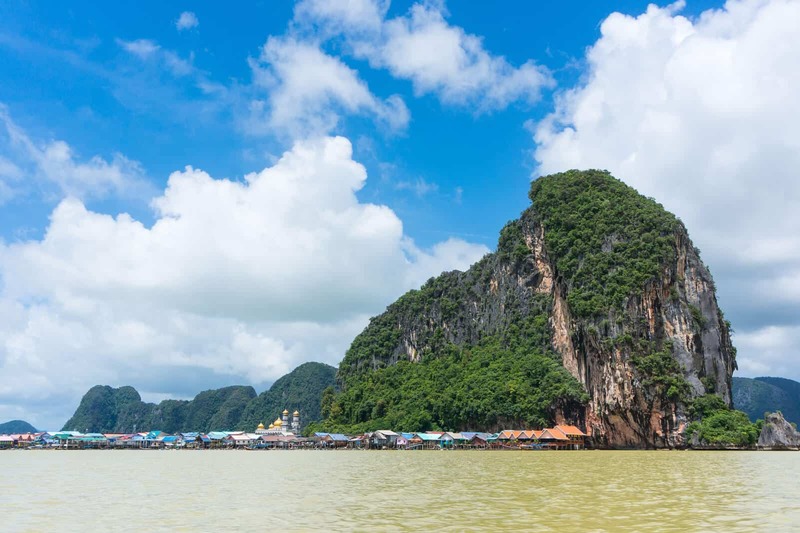 You’ll get to canoe through a mangrove forest and check out the limestone cliffs far above. Then head out on another longtail boat to a local Muslim fishing village for lunch and finally off to explore what has come to be called the “monkey cave,” the Suwa Kuhan Temple, which has fascinatingly been constructed inside a cave. Talk about a Krabi island hopping whirlwind of a day. Did I say whirlwind? How about a sunrise trip out to Maya Beach to pay homage to Leo before anyone else hits this super popular tourist spot? Then you can spend the rest of the day traipsing about among four more islands in a speedboat. On this Krabi island tour, you’ll explore Viking Cave and monkey beach. You’ll also meander around Koh Phi Phi Don, check out Chicken Island, and swim at Poda Island. Phew, by the time you get back you’ll be ready for an evening at the spa. The vistas on a Krabi island tour do NOT disappoint. Remember I said Hong Island was the ultimate chill experience? Well, if you want to switch it up a bit and add a bit of adrenaline, hop on this Krabi Island tour. 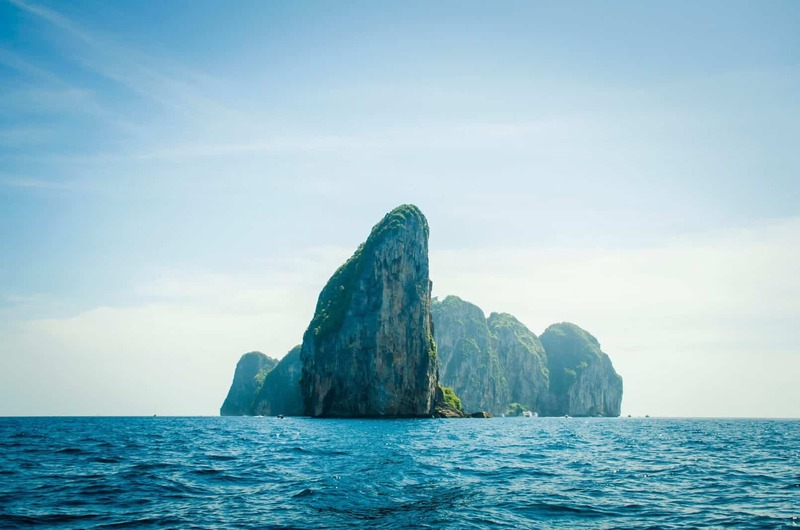 You’ll take a long tail boat out to Hong Island, off board into a paddle boat, and paddle your way around the island, between giant rock walls and into the secluded lagoon area. Then you just chill for a bit, maybe take a dip, or fall asleep on the beach, before you get back into the paddle boat to head back to your long tail ride. Islands, bays, and caves all in one Krabi island tour. Hard to beat. You’ll take a speedboat from Krabi over to the Phang Nga Bay and check out some of the hundreds of islands that make up those 154 square miles of watery territory. 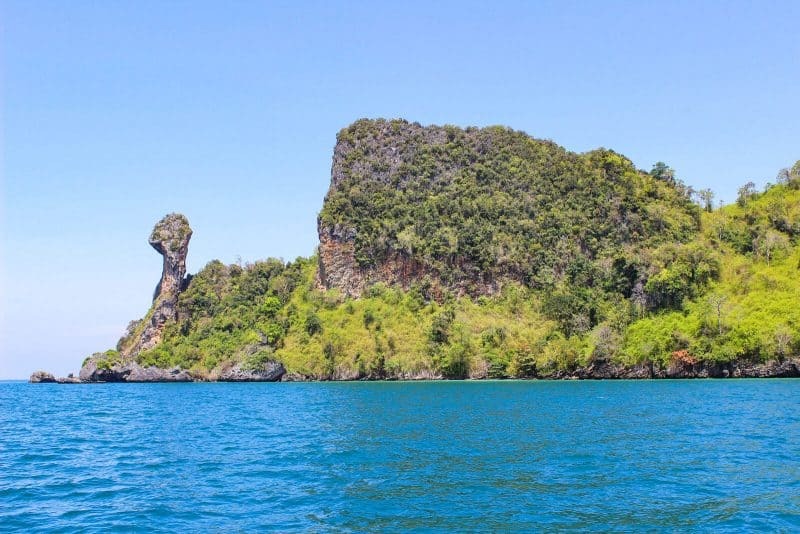 You’ll hit up James Bond island first, and then you’re off to Thalu Island to explore Lot Noi Cave. Next, it’s off to Panyee Island for a traditional Thai lunch. Finally, sink and swim into the crystal blue waters of Hong Island before heading back to Krabi and your hotel. Krabi Island hopping at its best. Plenty of scenic views during this Krabi island tour. A Krabi Island Tour that doesn’t involve an island? That’s right. This one had to hit the Krabi island hopping itinerary because you’ll actually be driving inland to a stunning lake inside the Khao Sok National Park where you will board a long tail boat and cruise around the lake, take a hike in the lush green jungles and have lunch on floating bungalows. So it’s an inland adventure that feels like an island adventure. You see why it had to make the list? Many of the boatmen won’t speak English or will speak very little. It’s unlikely you’ll be doing anything more than island hopping. There won’t really be any commentary. Nothing much beyond the name of the islands, where to snorkel, and when lunch is. Don’t expect some beautiful and well-kept boat. You’ll most likely be riding on a simple long-tail boat. These are small wooden boats with a few benches, maybe a small cover, and that’s it. Yes, you may even see a tiny bit of water seeping in the boats, this is normal and most, if not all long-tail boats are like this. Bring a snack if you’re a picky eater. A simple local lunch is usually provided on these tours, if you don’t like local food, bring something with you. Bring extra water. It’s going to be hotter than you think. DON’T do as the locals do. Being environmentally conscious starts with education and we all know how to behave. Sometimes, people in these lesser develop nations don’t get it because they were never educated about how to treat the envirnoment. Please don’t do as the locals do and bring your trash back with you on the trip. Sometimes they simply throw trash in the ocean, let it fly off the boat, or they leave it on the island, which will likely end up in the ocean later anyway. 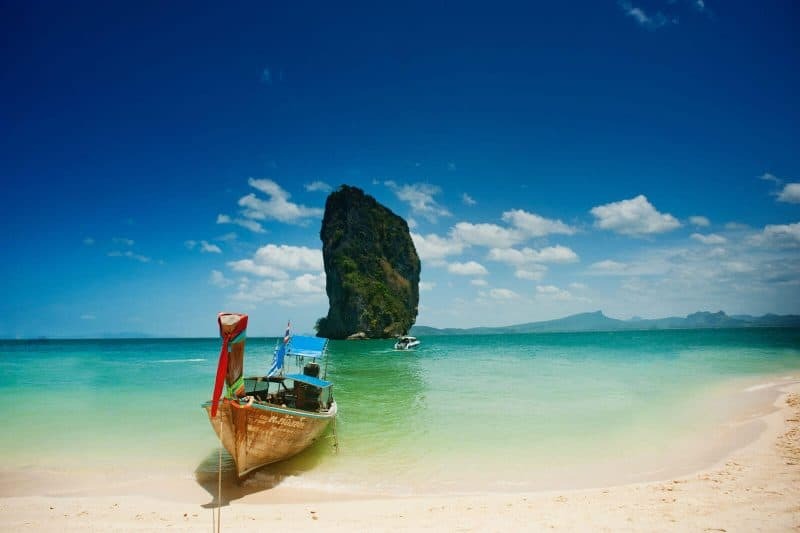 The tourist season in Krabi is traditionally November to mid-March, directly after monsoon season. Temperatures are super mild, and the sea is too. As someone planning multiple excursions to a variety of islands by boat, you want calm seas. Mid-March to May is not a bad time to visit either. You’ll see a spike in temperatures and a gradual rise in humidity, but you’ll also get fewer tourists. I’m not a huge fan of crowds, so this works for me. Finally, if you’re looking for super cheap and tourist free, monsoon season is the time to go. But know that the seas can get unpredictable, violent, and deadly. This is a tourist area, and tourism means money, which also means some boat captains will, unfortunately, put lives at risk to make a livelihood. So just be weary during this time of year. Sunscreen – There are points on this trip where you won’t have shade. A hat – More sun protection! Snorkel – One is provided if it’s a snorkeling tour but in case you like using your own, bring it. They usually only have cheap snorkels to use. Power Charger – Don’t run out of battery! You’ll want all the pictures. GoPro – The only good camera that will get you fun underwater pictures and the only camera you’ll want to bring as bringing your expensive one could be risky. 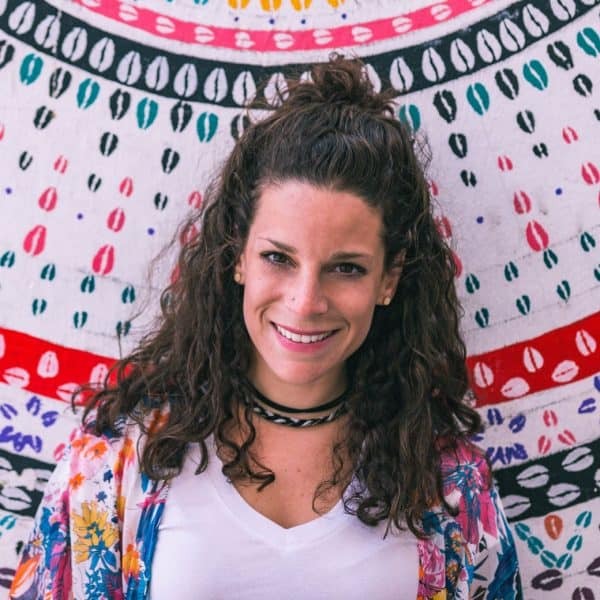 Sarong – I never travel with a towel, they are so bulky. Use your sarong to dry off, as a beach cover-up, and as a beach towel. Flip-flops – Why have I seen people on these tours with regular shoes? Why….? So which of these island hopping tours are you hopping on? Let me know in the comments!